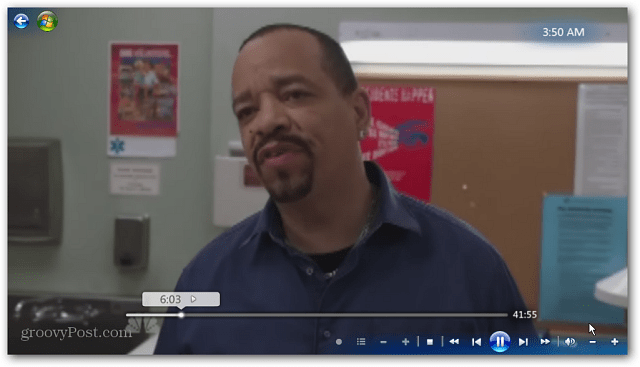 If you open a video or music file in Windows 8, by default it opens the in the Xbox app in full screen mode. Make them to open in a desktop program instead. Windows 8 is set to open video and music files in the corresponding Windows 8 app by default. This is one of the more annoying issues to deal with when you first make the switch to the new OS. If you’re on a laptop or PC with a single screen, you don’t want media files opening in full screen mode in the Xbox Music or Video app. Here’s the problem. 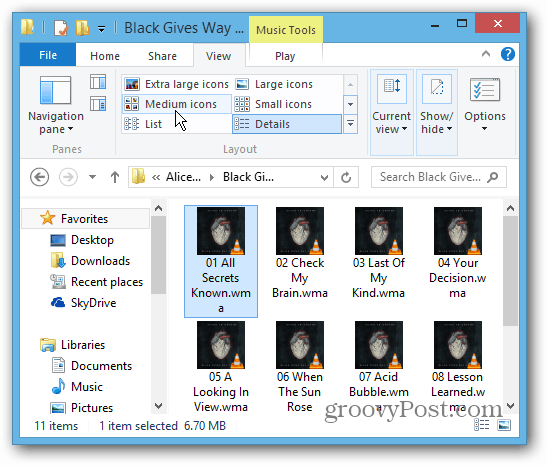 In this example, I’m working on the desktop and want to listen to an MP3 or WMA files. As you can see by the icon next to the files, they’re set to open in Xbox Music. 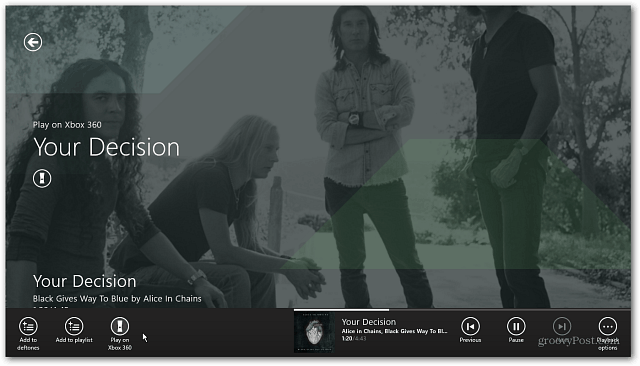 The the song opens in the Xbox Music app taking over your entire screen. This is fine while using a tablet, but makes no sense when trying to be productive on laptop or PC. The fix is to change file type associations. 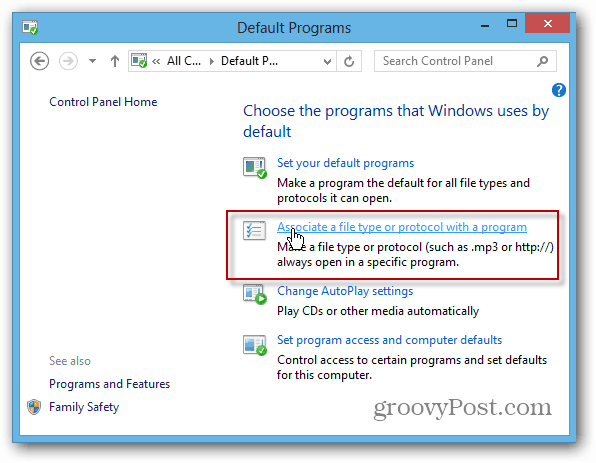 Just like with previous versions of Windows, you can easily change the programs that open media files by default. The easiest way to get there is use the keyboard shortcut Windows Key + X and select Control Panel from the hidden Power User Menu. When Control Panel opens, click Default Programs. Then click the “Associate a File Type or Protocol with a Program” link. 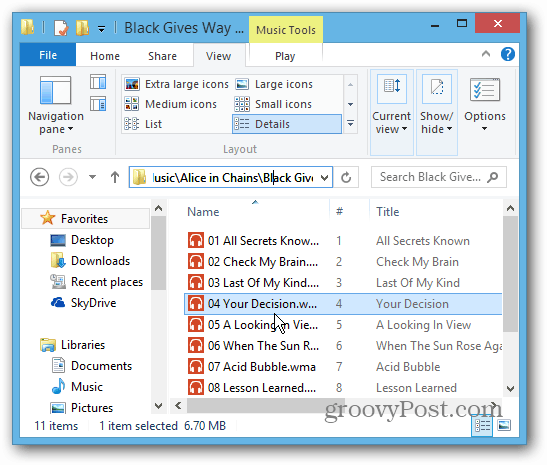 Go through the list and highlight a file type, click Change Program and select the desktop application you want to use from the list. Here I’m setting VLC to open video and audio files. Of course you can pick whichever program you want to open each media file by default. Ah, much better. Now my music and videos are set to open in VLC and not the Windows 8 Xbox app. Sometimes you might want to open files in a certain program, but not change file type associations permanently. 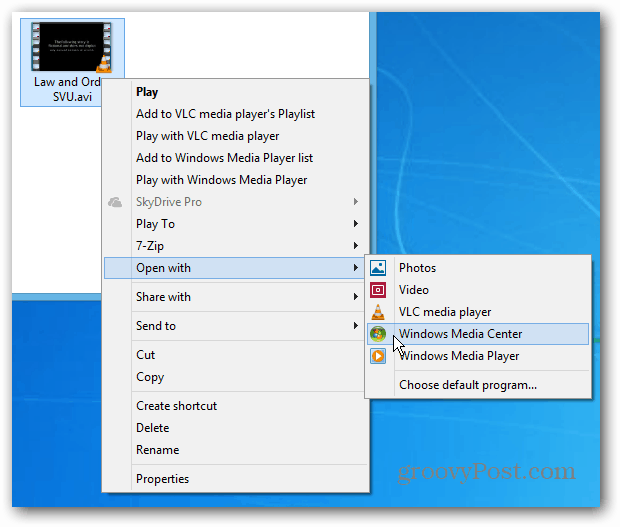 Just right click the media file and select Open With from the Context menu, then the program you want to use. 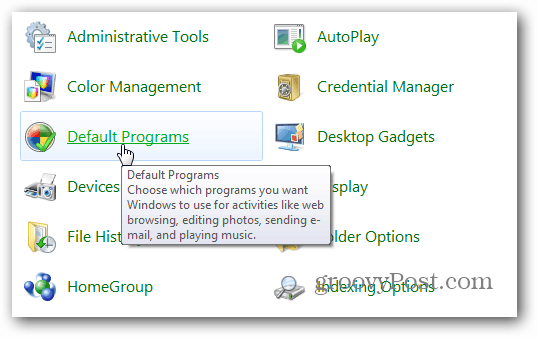 The program you select will play the file, but not make it the default. 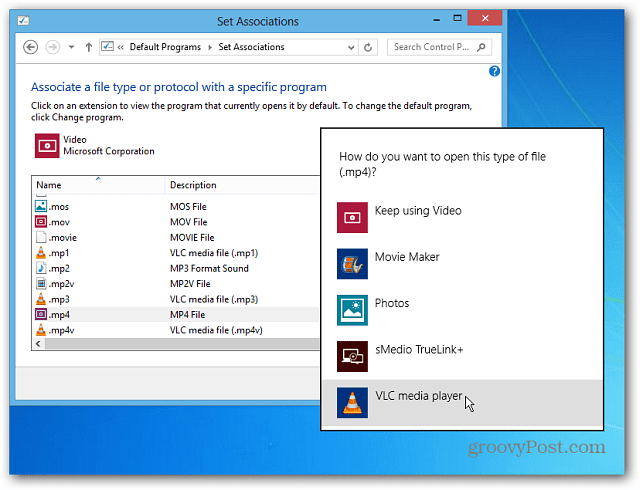 Check out our other articles on making files open in a program of your choice and not a Windows 8 app. And for more on how to use the new OS, bookmark our Complete Guide to Windows 8.